Like I said, I started out my weekend on a not so great note with a massive headache but after several ibuprofen and a little nap I felt like eating and acting like a human again. Saturday I trekked down to Downtown Disney for some adult libations and some fun in the sun. I can't go to Downtown Disney without stopping by T-Rex Cafe so we hit that up first and after a few Caveman Punches and Raptor Ritas and of course a Footprints Flatbread we decided to hop on the bus and head over to the Swan & Dolphin resort. I've never snuck into a hotel pool before so I was pretty nervous but once we got in it was total relaxation. The main pool was packed so we went to one of the smaller lap pools for a bit. This ended up being the best move since the smaller pools were almost completely abandoned. Make sure if you're drinking that you drink enough to not care about your bill at the end of the day. 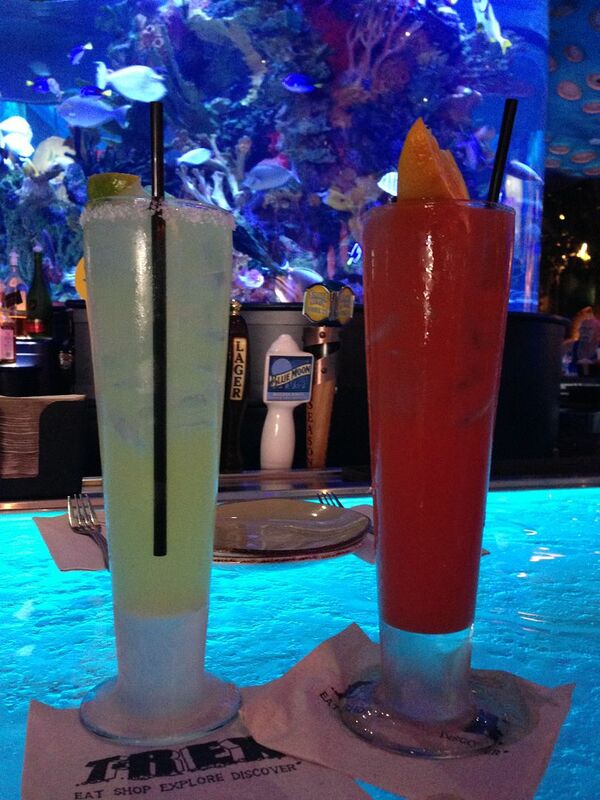 Otherwise your full day of relaxing goes right out the window when you see how much their drinks are! Once we got seats over at the main pool we realized how different the two pools really are. This is definitely the party pool! After going down the slide a few dozen times we finally decided to head out. 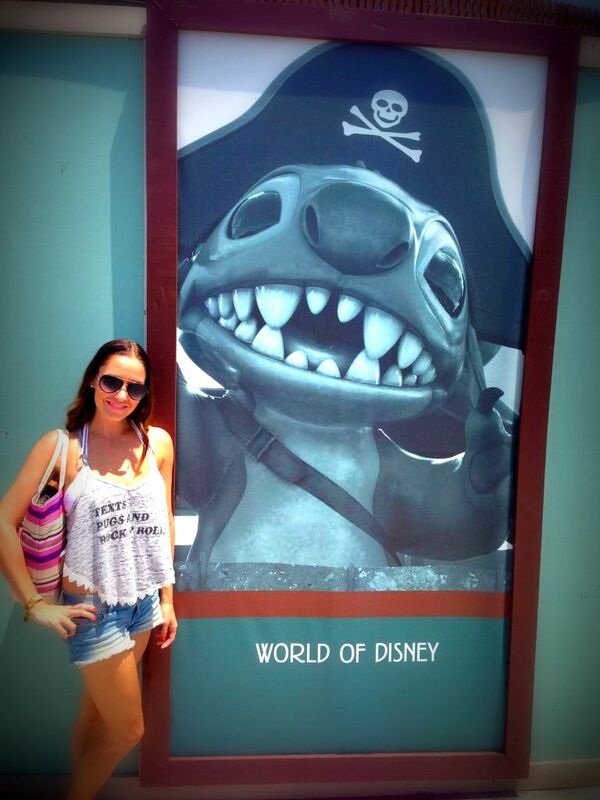 I have an obsessed with Stitch from Lilo & Stitch so of course I had to take a picture with him! Random fact, I can even talk like Stitch! 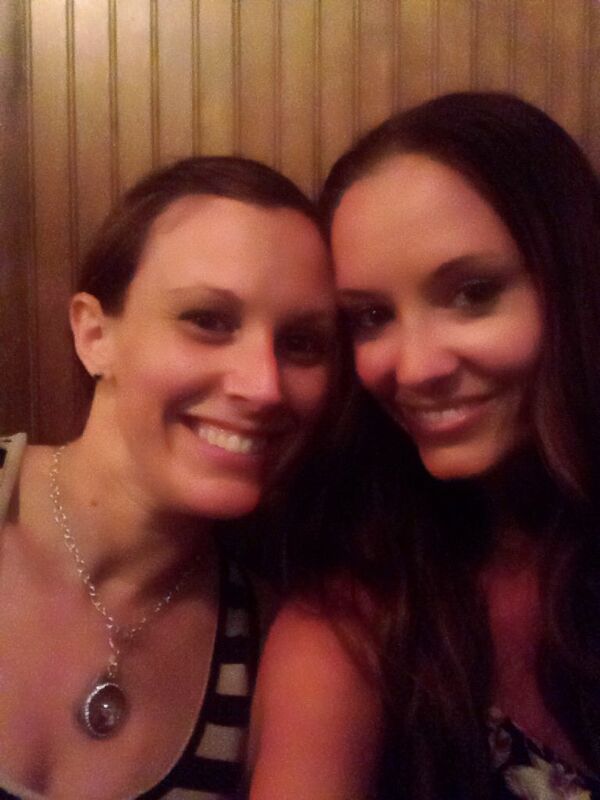 Saturday night I met up with one of my oldest and closest friends for some Mexican and margaritas. She just had twins a few months ago and lives in Ft. Myers so I don't get to see her often but I love when I do! Try not to judge my awful hair. The air conditioning was broke in the room we were in so it was at least 85 degrees in there. I'm convinced it was probably cooler outside! Sunday was spent doing household chores, taking pictures for the blog this week and grocery shopping! I'm finally back to doing fashion posts this week (yay!) so hopefully you guys like them! Oh I did buy these online on super sale at AE.com for only $20! Can't wait to get them... hopefully they fit! Looks like so much fun!! You really make the most of your weekends! So fun! Which pool did you end up going to? You should have called me! Mexican sounds amazing! Love those shoes too! Yay for an impromptu long weekend! Sounds like you needed it too! I love that you live so close to DW and can do all of those fun things!! Even in 85 degrees your hair looks good lady! 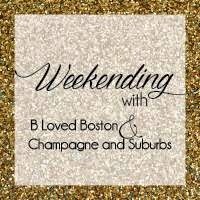 Sounds like it turned into a fabulous weekend! Love the tip about the drinks at hotels, its so true! haha. Can't wait to see the outfit posts this week! Oh your weekend sounds so fun! Jealous! I'm happy to hear things turned around, headaches can be the worst. Sneaking into a hotel pool sounds like so much fun! how cute are those shoes! $20? cant go wrong! Caveman Punches and Raptor Ritas?? they sound delish. haha. I would be so nervous about sneaking into a hotel pool! We had a few drinks on our honeymoon in Vegas because we had like a $50 room credit thingy and we had 2 drinks each and we had to pay $5. yeah. not including tips haha. Thise cocktails look so good! You guys are rebels for sneaking in, but that pool looks perfect! I'm so excited for the bloggers closet! I love seeing other bloggers' ootd's! Love your new shoes and I'm going to need to hear your Stitch voice, asap ;) Sorry your weekend didn't go as planned and you weren't feeling well, looks like you made it a good time though! Oooh love the leopard loafers! We snuck into the pool at the Beach & Yacht Club a few years ago when we were at Disney and had the BEST time!! I didn't think we would be able to do it since you needed wristbands but somehow my husband pulled it off and got us two bands, ha! You are always up to something so fun!! Can't wait to see all the fun pics!!! AHHH! I wonder if the Swan & Dolphin Police will find this post and ban you for life hahahaha. JK. I think I have some pool sneaking to get on top of! Thanks for making me want to sneak into that hotel pool! Totally putting that on my list for when I get down to Orlando. Looks like you had a fab weekend! loving the new kicks! i see print mixing in the near future!!! What a wonderfully relaxing weekend!! I love that you snuck into the pool haha awesome!! Ooohhh sneaking into pools at Disney! Scandalous! Looks like a fun weekend and I love those shoes lady! How fun! I want to sneak into pools! I would do that every weekend if I lived in FL. I love those shoes! So cute! Seriously looks like a great weekend--I am so coming to visit sometime--it rained ALL weekend in Ohio Boo!! Hehe never worry about the bill when you are having fun!! I've always wanted to sneak into a hotel pool but am such a damn chicken. MAYBE now hah. Please tell me you talked like Stitch when you ordered the ginormous drinks! Sorry about your headache. I've had days like that and they are seriously no fun. That pool looks heavenly though! Look at you, rebel! How great that you snuck into the hotel pool... Looks perfect, drinks and all! The pool day sounds fun! I've snuck into a few of the resort pools and they charge a killing for drinks. We usually try to sneak in some beer and hope they don't notice. I've yet to try T-Rex cafe but hear it's pretty good! Sounds like such a fun weekend. We are in hysterics about drinking enough so you aren't made about the bill. We'll probably quote you in he future. SO funny! i've never been to t-rex at DD! i'mgoing next time!! Definitely going to scour AE for those slip-ons. I neeeeeeed! 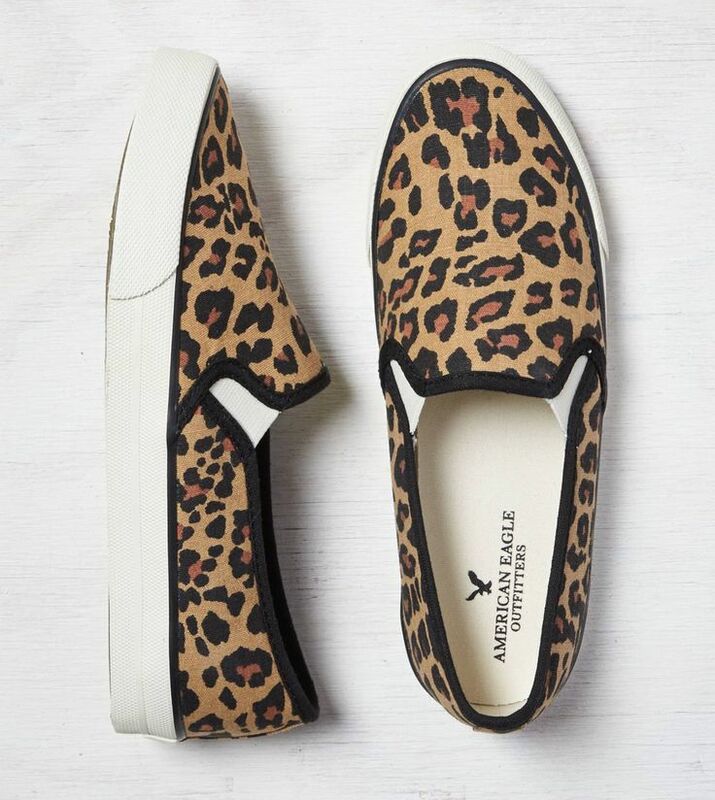 Leopard sneakers are so in lately! I want a pair!